Click the arrow to hear the broadcast on The Victoria Steele Show on KVOI Radio 1030 AM. Over-prosecution of marijuana possession in Pima County has led to 150 to 200 juveniles being charged with felonies for possessing even the tiniest amount of marijuana, according to Public Defender Joel Feinman. It’s even worse in Yavapai County where prosecutor Sheila Polk is specifically targeting medical marijuana patients who have official state cards. “We have to be careful about when we talk about the criminalization of marijuana possession for children. Treating children like criminals is a great way to ensure that they don’t graduate, don’t get good jobs, don’t become productive members of society. It’s a great way to keep feeding the school-to-prison to pipeline,” Feinman said in an interview on the Victoria Steele Show on KVOI Radio 1030 AM. Arizona’s harsh charges are counter to the public’s desire to permit medical marijuana. “Marijuana is a medicine. We understand now that this truly does help people who are on chemotherapy, who are dealing with extreme pain. The voters put this through as Proposition 203 known as the Arizona Medical Marijuana Act, or AMMA in 2010. The voters overwhelmingly said ‘we want this,’” said Steele, who is an Arizona state Senator (D-LD9) in Tucson. “This is another example of the 50-year long failed war on drugs. We, in spite of all the evidence and history, are treating marijuana and other drugs as criminal problems instead of public health issues. This just makes things worse and worse, and we spend billions and to incarcerate more and more people,” Feinman said. Pima County Attorney Barbara LaWall has wide discretion about how the laws are enforced. “We don’t have to charge 150 to 200 kids with felony marijuana possession. That is a choice our County Attorney makes, and it’s a choice she could make not to do tomorrow,” Feinman said. According to the Arizona Department of Corrections, in February 2019 there were 218 people in Arizona prisons for marijuana possession. In comparison, there were 158 people in prison for domestic violence and 143 for arson. “We incarcerate more people in Arizona for marijuana possession than we do for domestic violence and arson,” Feinman said. Arizona is the last state to classify marijuana possession as a felony. “Reefer Madness” prosecutor Sheila Polk of Yavapai County. The situation is much worse in Yavapai County, where Prescott is the county seat. Polk is a rabid anti-marijuana fanatic. She heads Arizonans for Responsible Drug Policy, which operates a website with misleading information about marijuana. Polk took $500,000 in dirty money from opioid maker Insys Therapeutics in 2017 to help fund the organization and curb competition for its addictive fentanyl product. Polk was also the chair of the “No Prop 205 Political Committee,” which led the defeat of an initiative to legalize recreational marijuana in 2016. Polk wants landlords to be able to evict tenants who use marijuana, and employers to fire them. Polk is way out of line with prosecutors in Arizona. If you’re convicted of a drug offense in Santa Cruz County, the average sentence is 24.8 months. 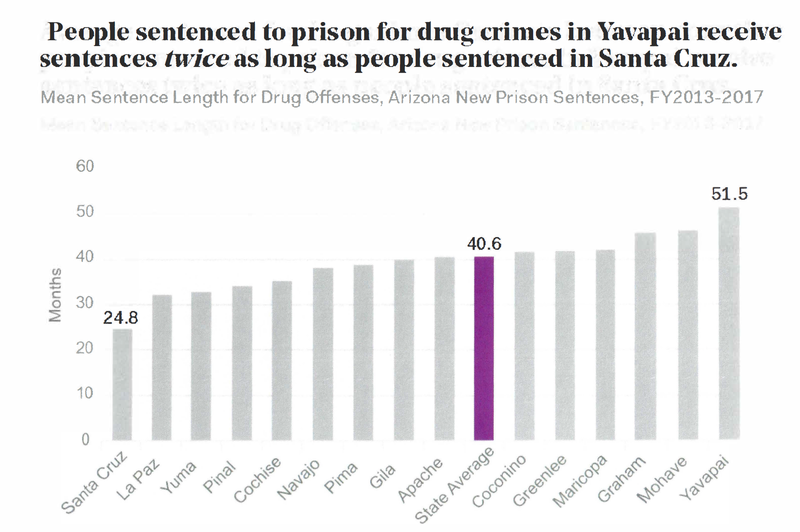 In draconian Yavapai County, it’s 51.5 months — more than double, according to the law enforcement group, Law Enforcement Action Partnership. Compare Polk to the top prosecutor in Baltimore, Marilyn Mosby, who announced she will not prosecute marijuana possession cases anymore, because they have no public safety value, erode public trust in law enforcement, and target primarily people of color. Polk’s tyrannical approach on medical marijuana will be judged by the Arizona Supreme Court. The case began in 2013 with the arrest of Rodney Jones, a person of color from Prescott, for possession of .05 ounces of hashish (the weight of a paper clip). She even charged him with possession of drug paraphernalia — the jar containing the cannabis. Jones, is a registered medical marijuana patient, but after Polk prosecuted him in 2016, he had to serve 366 days in jail. 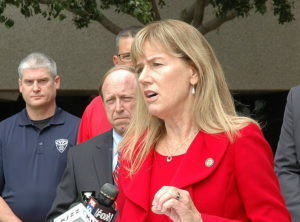 Jones appealed his sentence arguing that he was immune from prosecution under the Arizona Medical Marijuana Act (AMMA). The law says “usable marijuana” means the dried flowers of the marijuana plant and any mixture or preparation thereof. Polk argues that medical use of the leaf, bud, and flower of marijuana are protected by the law, but that possession extracts, brownies, gummies, hash, wax, and other extracts are a felony. The argument is so stupid because marijuana and its extracts have the same medical effect. The law specifically permits the use of any mixture or preparation of marijuana. “The issue is whether Prop 203 covers marijuana and its extracts, which is what everybody in the state thinks — or whether Prop 203 just covers the leafy green bud of marijuana, which is what Sheila Polk thinks. The justices of the Arizona Supreme Court were skeptical of Sheila Polk’s argument but you never know,” Feinman said. This comes at a time when marijuana is the third most popular recreational drug in America (behind only alcohol and tobacco) and has been used by nearly 100 million Americans. According to government surveys, some 25 million Americans have smoked marijuana in the past year, and more than 14 million do so regularly despite laws against its use. “Your rights should not depend on your ZIP Code, but they often do,” says Rep. Pamela Powers Hannley (D-LD9). “Activist county attorneys and judges are jailing medical marijuana patients in rural Arizona. 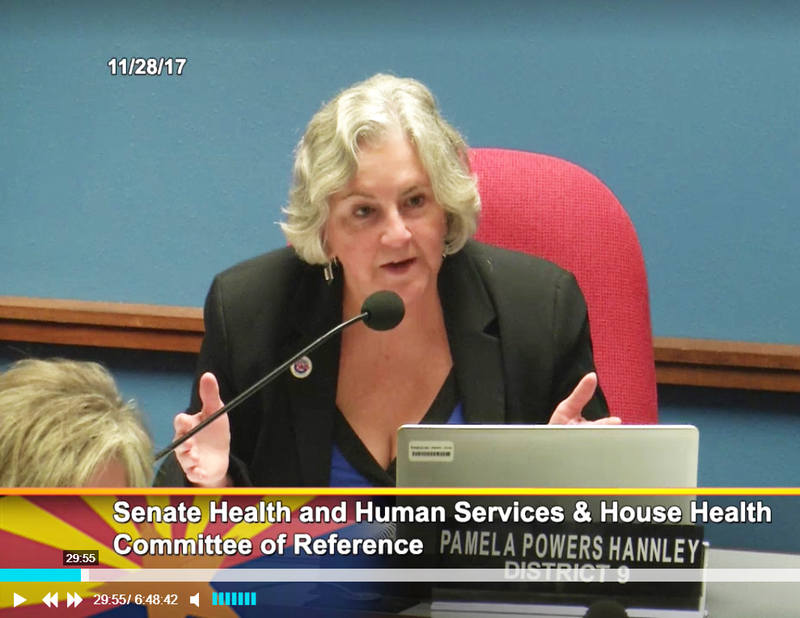 They are using a disconnect between the criminal code and the Medical Marijuana Act to jail patients,” says Arizona Rep. Pamela Powers Hannley of Tucson. “Overall, across the state of Arizona, marijuana laws are being enforced differently. You’re much more likely to get arrested and charged for possession in certain counties than you are in other counties. That’s not fair. Your rights should not depend on your ZIP Code, but they often do,” she says. Interestingly, Polk refuses to say whether she’s smoked pot. If she did, she would know what she’s talking about.